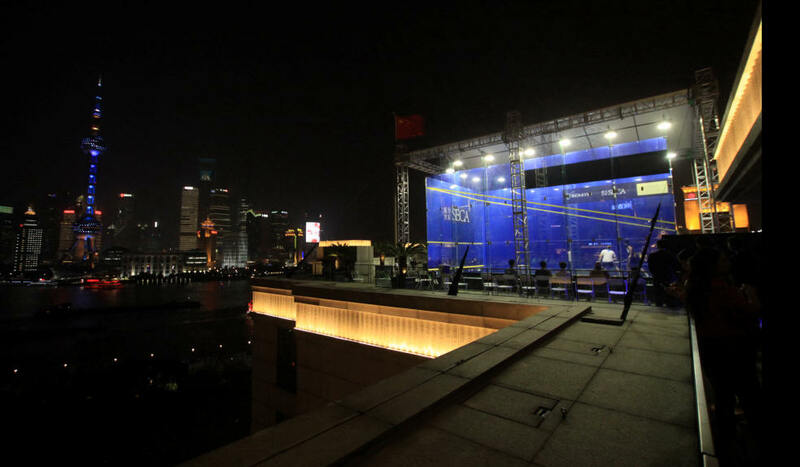 Expectations were fulfilled on finals night of the 2014 China Open on the 11th floor of The Peninsula Hotel. The two finals held every promise & both went the full distance. 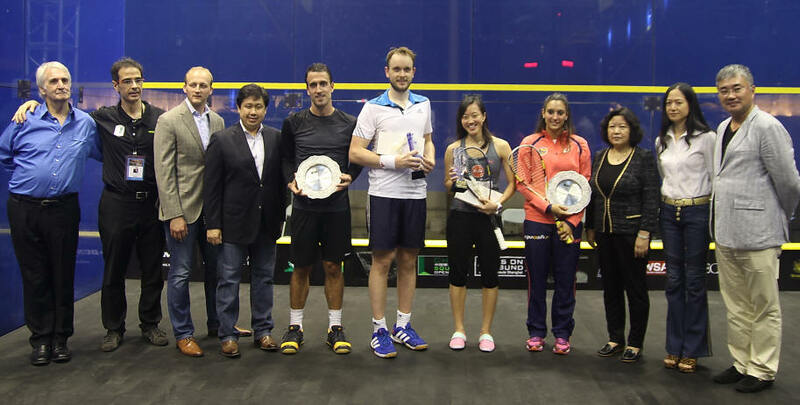 Camille Serme and Low Wee Wern were 1st on and Low, who impressed throughout the championship, aided by unforced errors, when Serme took the ball in, established a 2/0 lead. The French girl though, is made of stern stuff and reducing her error rate ,she levelled the score at 2 all without it ever being easy. It seemed now that the momentum might be with Serme, but oddly enough it was Low who led 3/0,and later 7/3 before the tenacious Serme hit back after Low gad taken a blow in the face at 7/5. Low served for the match at 10/8,but a serious error by Serme at 10 all gave Low another match ball, which she gratefully accepted, tom win the China Open for the third year in a row. It had been a hard physical and demanding encounter and on balance maybe Low deserved the narrow win in a match did the women's game no harm. Nor did the Men's final fall short. It was Willstrop who started the better and he made three winners to go 5/1 up. A couple of errors brought Barker back into the game but Willstrop was always in control and won it 11/7. 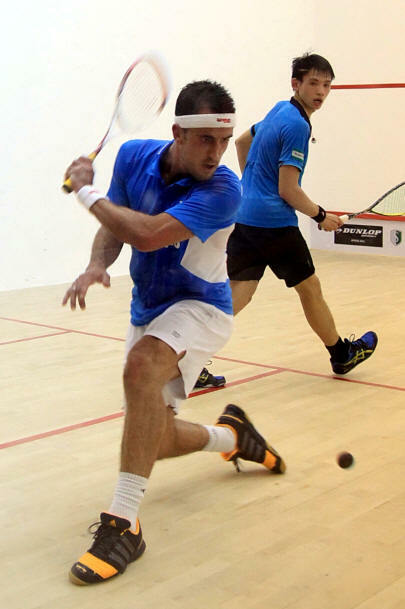 He led 5/3 in the 2nd,but Barker attacked with purpose at this point and a series of winners took him to 9/6 before he levelled the match 11/8. It was Barker now who took control leading 7/2. Willstrop fought back determinedly, forced some errors but it was not enough and Barker led 2-1, 11/9. When Barker led 6/1 in the 4th,Willstrop's looked to be up, but Barker was unable to sustain his attack against Willstrop's control. From 6/1 Willstrop hit 6 consecutive winners to lead 7/6.He then led 9/8 and at 10/9 served to level the match. A dubious no let brought about a tie break and it was the tenacious Willstrop, who won it 12/10. There was no doubt Barker was feeling the pinch and Willstrop, forcing errors lead 7/2 and from then on never looked in danger of defeat. 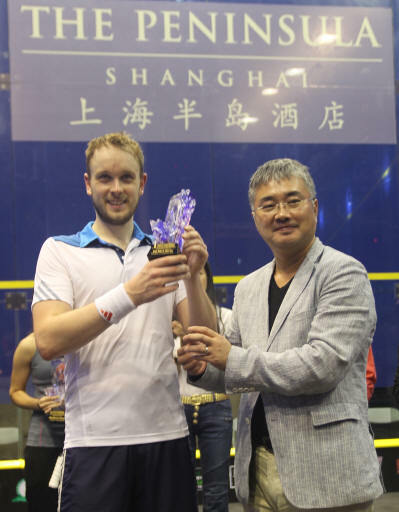 He took the 5th and the inaugural China Men's Open 11/5. Barker attacking play was high quality, but Willstrop's resistance and control proved just too much for him . It was a fitting end to a quite magnificent event for which Franco Amadei and his team and supporter's must take great credit and satisfaction. 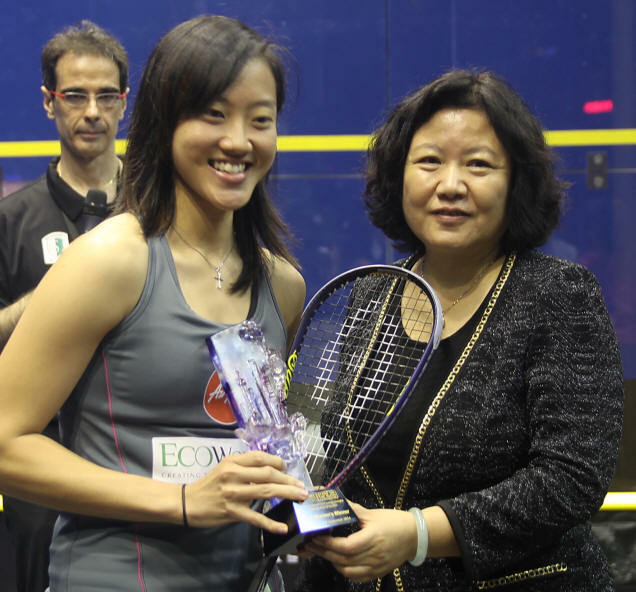 "I'm absolutely delighted to win the China Open. It's been a great week for me. "This year hasn't been great - I lost my dad earlier this year when I was competing in Chicago, down with Dengue and all. 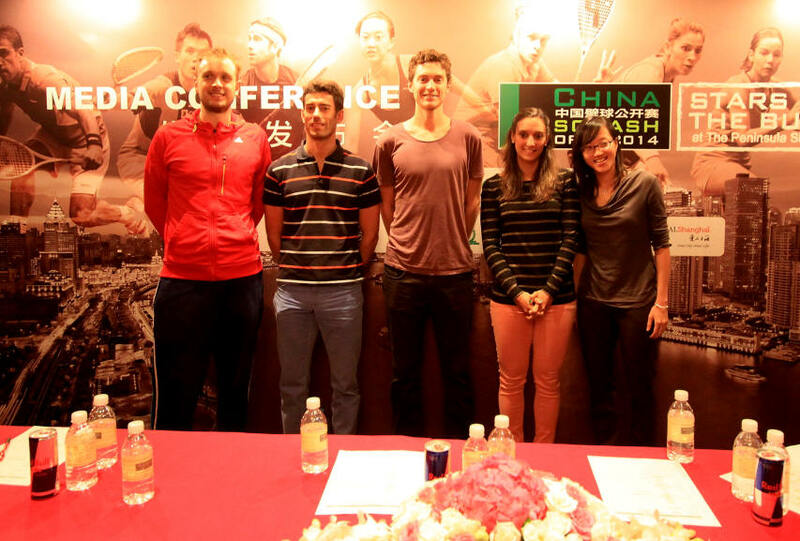 "But overall, the atmosphere is amazing here in China. The hotel, the court, the area, the crowd. It's been great! I'm looking forward to coming back again next year!" The supremely gifted Nouran Gohar made World no 5 Camille Serme fight every inch of the way for her place in the final. When Gohar lead 1/0 & 6/3 another shock result looked on the cards, but the French girl is resolute and recovering to level at one all she ran away with the third to led 2/1. Gohar wasn't finish with and led again in the fourth before Serme 's experience told . Serme was very happy to make the final and Gohar's future looks assured. James Willstrop will be well pleased to make the final after his first round loss in Hong Kong. 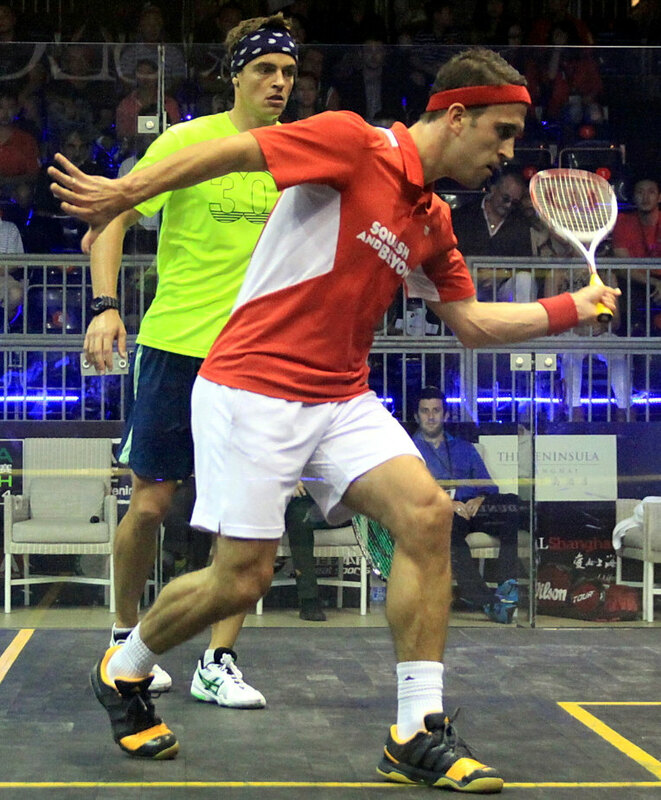 He began impressively, led 6/3 in the first but Omar Mosaad held his game together well and led 1/0 .Willstrop, playing the court well, started sharply again in the second, but this time went through with it to level the score. He began the third and fourth games well and took them both impressively to run out a convincing 3/1 winner. 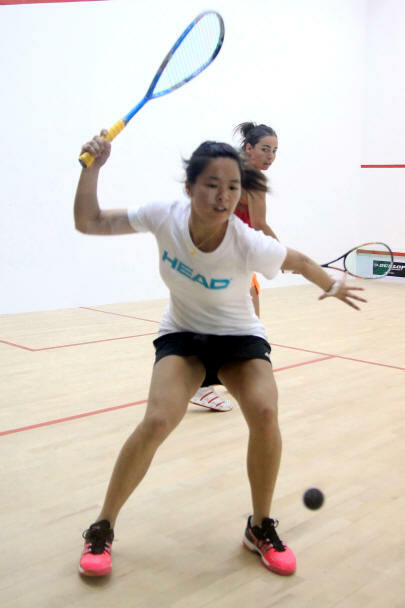 Low Wee Wern has been in fine form of late and a 3/2 loss to eventual runner up Nour el Tyeb was backed up in Shanghai with two 3/0 wins over Nicolette Fernandez and Jenny Duncalf. She followed up with another convincing 3/0 win over Salma Hamy Ibrahim, though the promising young Egyptian almost took the third. So a Serme /Low final with experience winning the day in the semis. 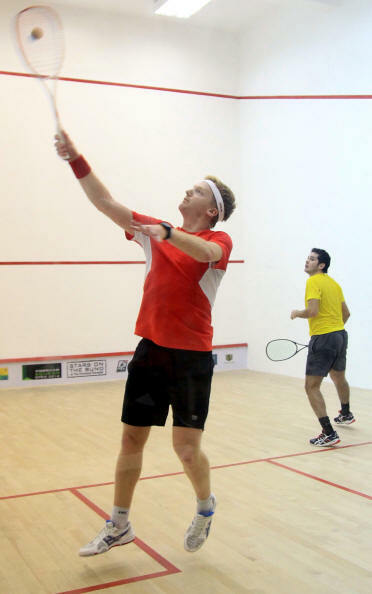 The final match of the evening was between Peter Barker and Laurens Anjema, who played outstandingly well to beat Borja Golan 3/2 in the quarter final. Barker won the first two games both 11/5, which did not reflect the closeness or the quality of the match, Barker having an edge but not by margins of six. He maintained the pressure with Anjema perhaps feeling the effects of the previous nights match and won the third game comfortably to take his place in the final. So an all English final between two long standing England teammates . Outstanding young Egyptian, Nouran Gohar, from the qualifying competition beat Rachel Grinham and Annie Au, both 3/1 remarkable performances from one so young. Tonight she will face an even sterner test against the resolute Camille Serme. Another young Egyptian, also a qualifier reached the semi finals with outstanding performances. She beat top seeded Alison Waters 3/1 and then comfortably deposed of a lack lustry Dipika Pallikal. Tonight she will take on Low Wee Wern who beat Jenny Duncalf more easily than might have been expected. 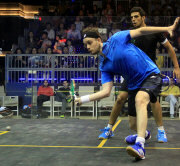 Top seeded James Willstrop beat Marwan elshorbagy 3/1 and he will face Omar Mosaad, who beat Daryl Selby 3/1, Selby conceding at 9/6 after a contentious match, in which he was repeatedly denied lets. Laurens Anjema dud remarkably well to beat 2nd seed Borja Golan 3/2. For much of the match Golan had the better of it, but when the determined levelled at 2/2, Golan 's suspect temperament took over and Anjema romped away in the 5th. 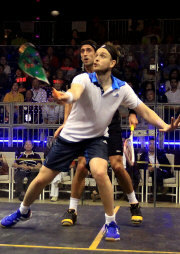 He plays Peter Barker who has been and looks in good form, Barker beating Max Lee Karim Abdel Gawd, both 3/0. The four Men's semi -finalists have all been around for a long time, but there will be much interest to see how the two young Egyptian girls perform against their experienced opponents. 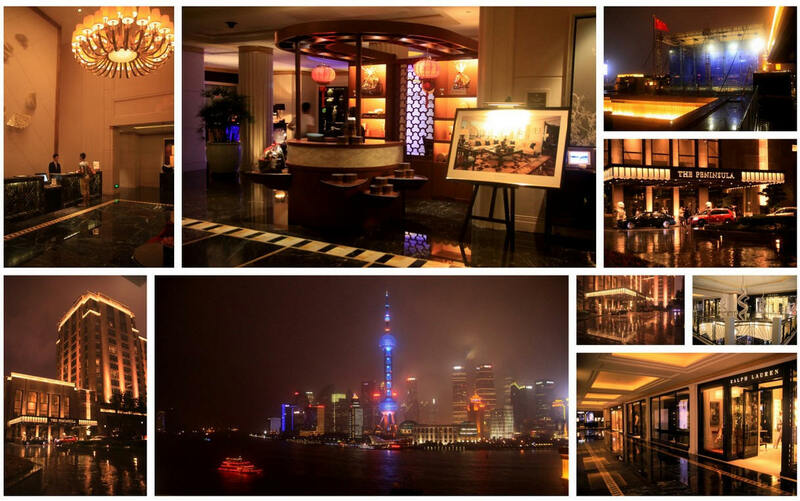 The evening session took place at The Peninsula Hotel in a setting to match the very best. 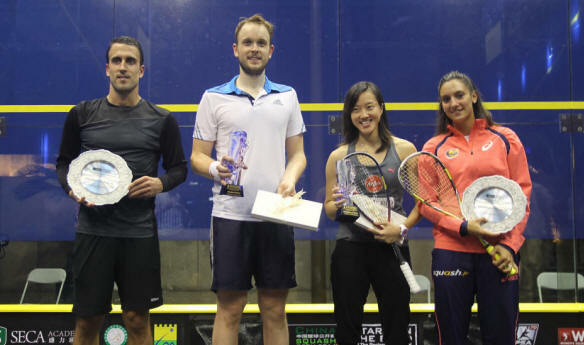 World no 5 Camille Serme saw off strong resistance from Sarah Kippax, winning convincingly 3/0 and that match was followed by James Willstrop and Marwan elshorbagy. 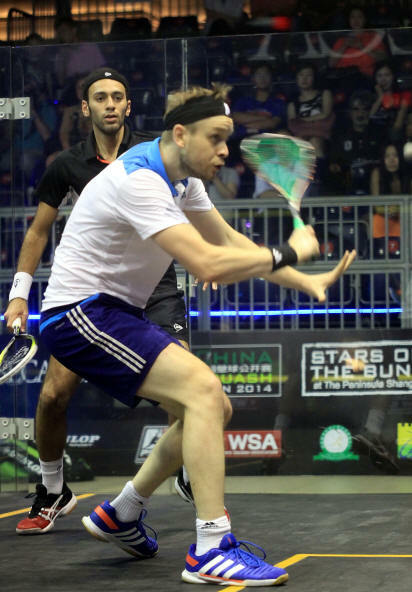 Willstrop won a close 1st and led early in the 2nd,but Shorbagy fought back to level the score. 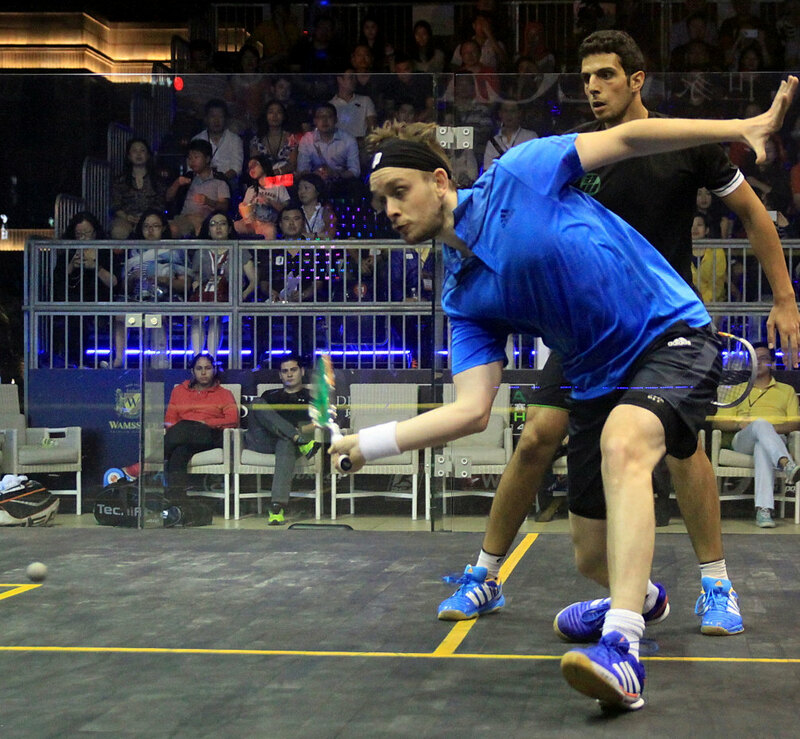 Willstrop re'asserted to win the 3rd and won the 4th easily as Shorbagy's efforts weakened. 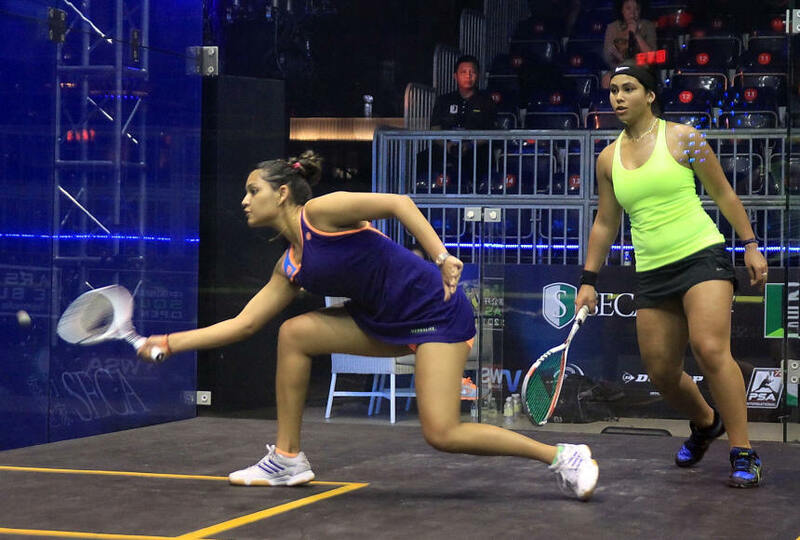 The match between Dipika Pallikal and Salma Hamy Ibriham promised plenty and deliverd next to nothing. Lets dominated the first game and Pallikal, disenchanted, seemed to lose interest leaving Hany with a bloodless victory in a match that did little for the women's game. Last on were Spanish and Dutch no1,s .Borja Golan was due to meet Laurens Anjema in the 1st round in Hong Kong, but Anjema had to withdraw injured, Golan going on to reach the semi final. Golan lead 1/0 and 2/1,looking slightly the more likely winner, but Anjema is resolute and when he leveled on a 4th game tiebreak, it was anybody's. Golan, frustrated, involved himself with the referees has he does, and losing concentration and heart he lost the 5th easily, Anjema running out a deserving winner. Jenny Duncalf was first into the Qtr Finals with a 3-0 win over China’s Gu Jinyue and although Low Wee Wern followed her with a 3-0 win with Nicollete Fernandes her persistence proved too much. She had to work much harder. India’s Commonwealth Doubles Gold Medalist Dipika Pallikal, with her coach the all time great Sarah Fitzgerald had to battle for the best part of an hour to over come Denmark's Line Hansen 3-2, and Englands Sarah Kippax, returning from a break did well to beat the gifted Welsh girl Tesni Evans 3-1. 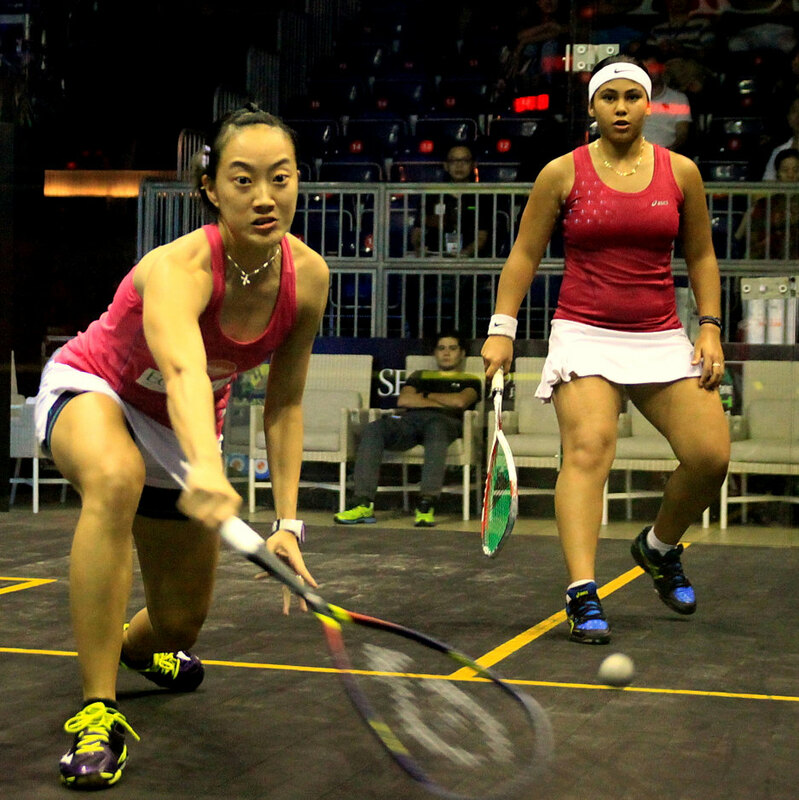 Emma Beddoes gave World No 1 Nicol David a good run for her money in HK and Annie Au had to battle all the way to beat her tenacious opponent 11-9 in the 4th. 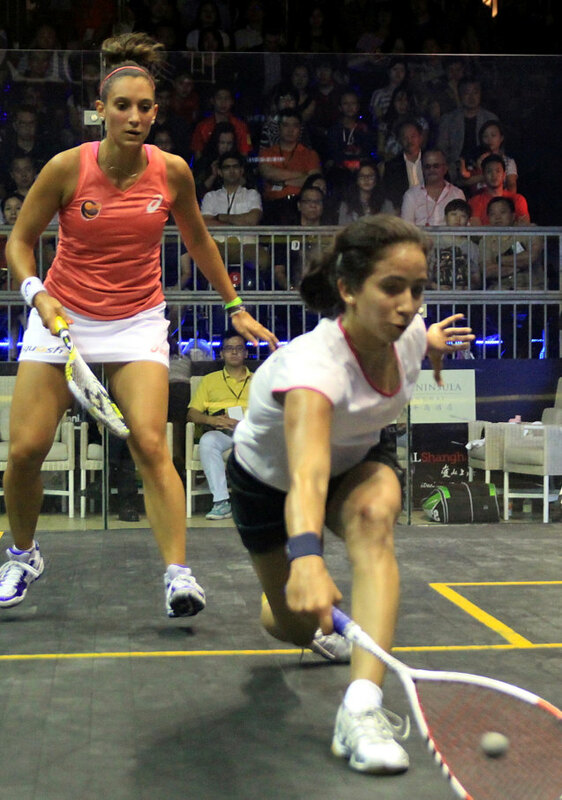 Rachel Grinham former World and four times British open Champion found the precious talent of Nouran Gohar too much and the gifted young Egyptian won 3-1. Salma Hany Ibrahim produced yet another when she disposed of 2nd seeded Alison Waters, earning the right to play Pallikal in tomorrow’s Quarter finals. 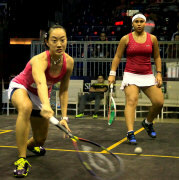 Another surprise perhaps not as great was the win of the exceptional Nouran Gohar over Rachael Grinham. 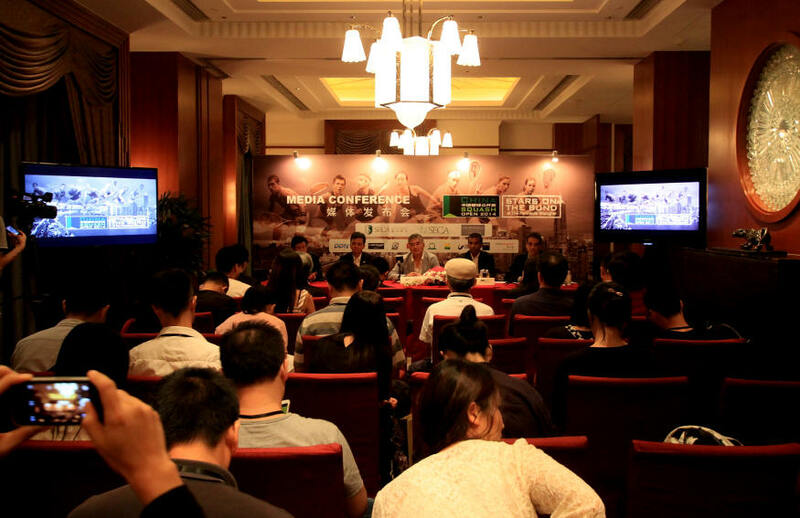 Last night the Press conference was held at the palacious The Peninsula Hotel to inform the Shanghai Media of the China Open 2014. 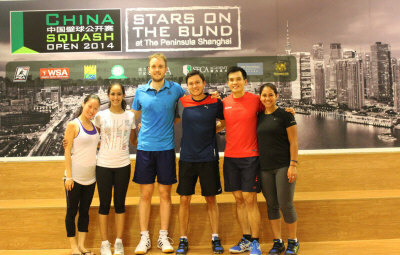 The following players were introduced: James Wilstrop (Eng); Borja Golan(Spain); Cameron Pilley (Aus); Camille Serme (Fra), Low Wee wren (Mas) and they too answered questions put to them. This sort of initiative led by Franco will do much to promote and advance Squash in China. 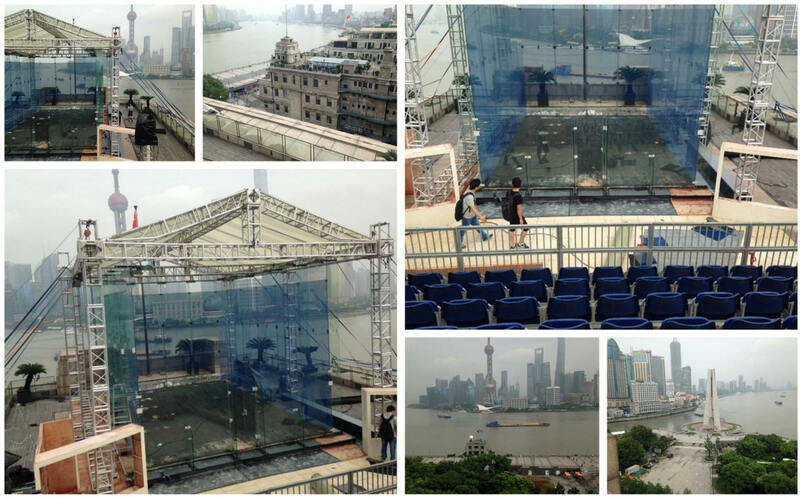 One of Squash’s great advantages is that the glass court can be sited in the most spectacular of settings: Grand Central station, Hong Kong Harbour, The Pyramids, Canary Wharf, Kuwait. 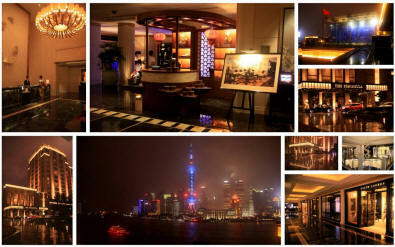 Soon after arriving at the sumptuous The Peninsula Hotel in Shanghai, curiosity led to the venue for the later stages, and now another name can now be added to that list: the lit up high rise buildings, the river with brightly coloured boats easing there way through the water provides a backdrop to satisfy any imagination. Franco and his team have certainly not missed a trick in Shanghai for the inaugural Men’s China Open and the continuing Women’s Championship. 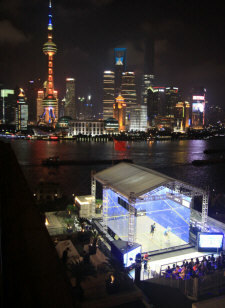 If the squash matches the wonderful setting, all will be well. 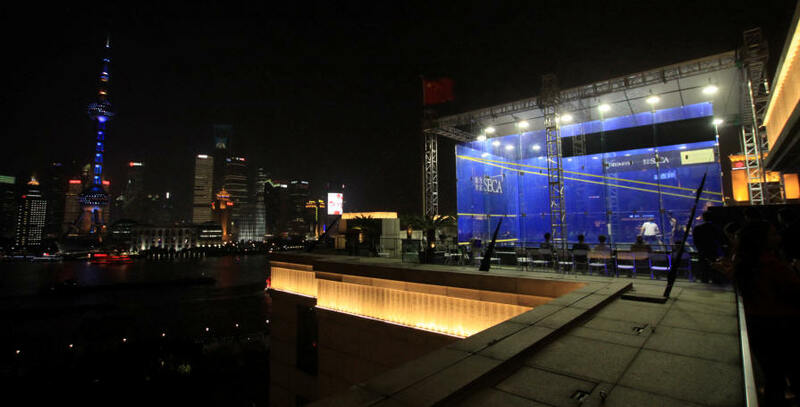 English World No.6 James Willstrop, one of the biggest names in world squash, will top the draw when the 2014 China Open - Squash Stars On The Bund, gets underway in the Chinese city of Shanghai in September. 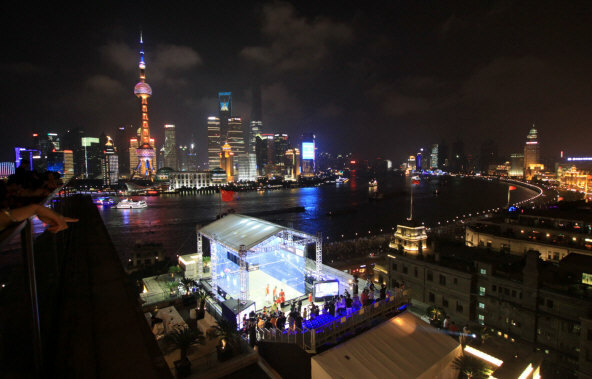 The PSA International 70 tournament, the most prestigious squash tournament ever to be held in China, is set to take place in the spectacular setting of The Peninsula Shanghai from September 4 - 7, with the 11th floor venue offering breath-taking views of Shanghai and its famous waterfront - The Bund. 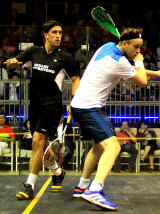 Willstrop, who held the World No.1 ranking throughout most of 2012, will be favourite to land the title and claim what would be his first PSA title since the 2013 Canary Wharf Classic but he will face tough competition from fellow English Commonwealth Games competitors Peter Barker and Daryl Selby, the World No.8 and No.10, respectively and the most successful player in Spanish history, World No.7 Borja Golan. 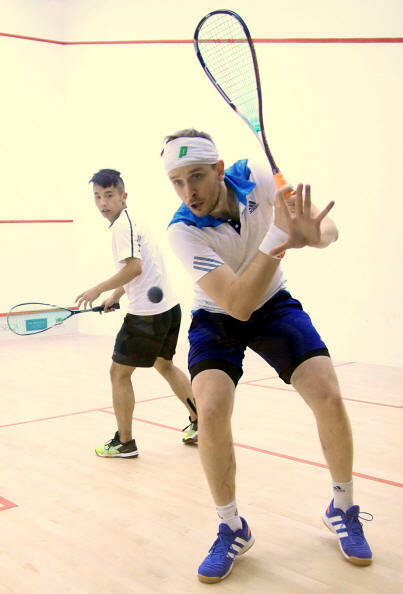 "It's very exciting to have a new event come on to the tour and I'm really looking forward to playing the 2014 China Open," said Willstrop, a two-time Commonwealth Games silver medalist. 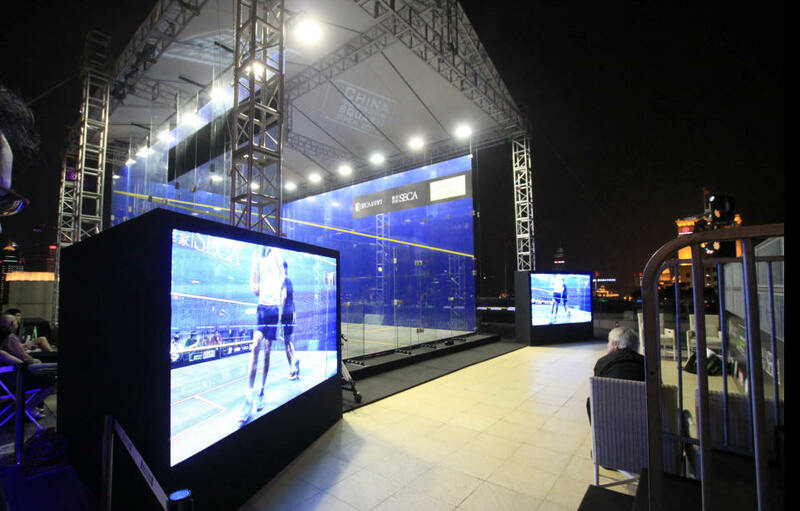 "The venue looks amazing and everything around the tournament looks like it will be top class and for a new event at such a high level to come onto the circuit makes it even more exciting for us as players. "It's very important for the sport to bring new events on to the tour and we don't often get new competitions starting out at this level. 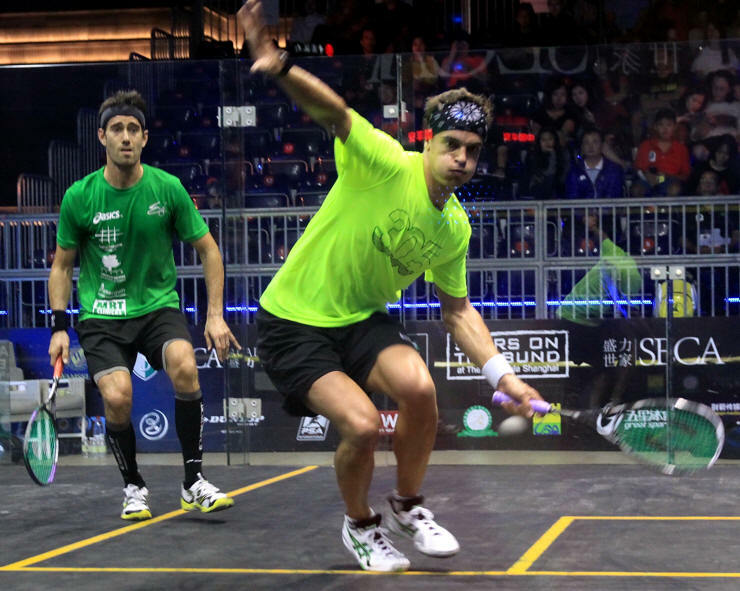 "San Francisco was the last tournament to start at this level and it has been building well for the last two years, with the sport growing well on the West Coast of America, so hopefully we can begin something similar in Shanghai this year." With the sport currently experiencing unprecedented growth across Asia, the 2014 China Open will expose citizens of one of the country's most influential cities to world class squash in what promises to be an exhilarating tournament from start to finish. "China is an area that we really need to tap into," added Willstrop, who will begin his campaign against Chinese wild card Junjie Wang. 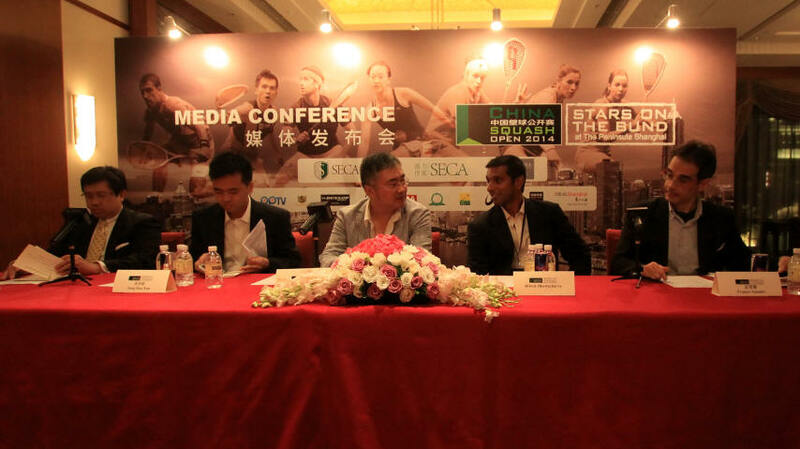 "It's an untapped country for squash and a huge mover in world sport and hopefully this event will help us kickstart something across Asia. 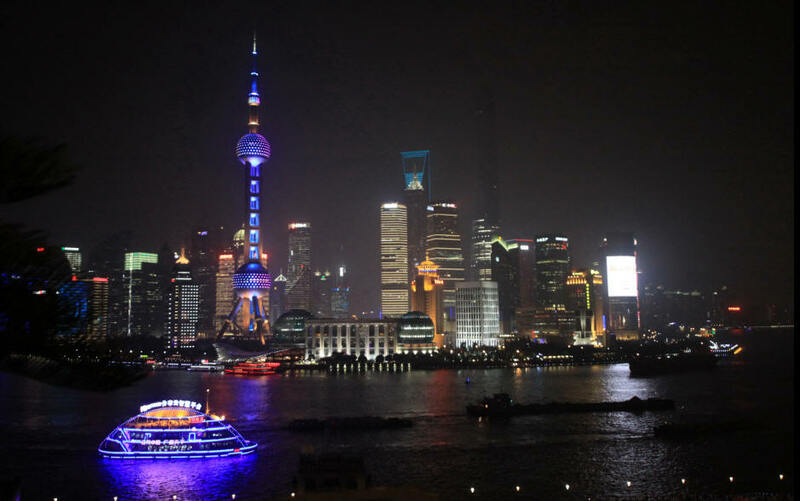 "There are some great established venues on the PSA World Tour at present and I'm sure Shanghai will prove to be another great addition. "For me personally, I will hopefully get some good match-play momentum from the upcoming Commonwealth Games to take into the start of the PSA World Tour season and hopefully get off to a good start." 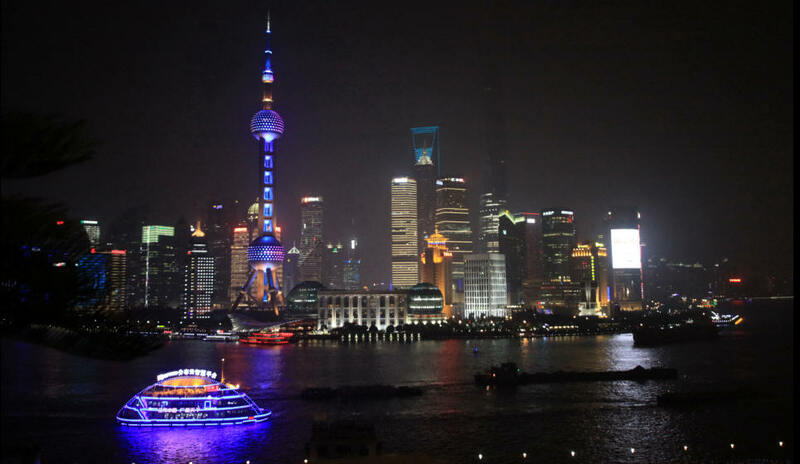 "It is very exciting to see these great players convening in Shanghai for the China Open," said Franco Amadei, tournament promoter from SECA World. 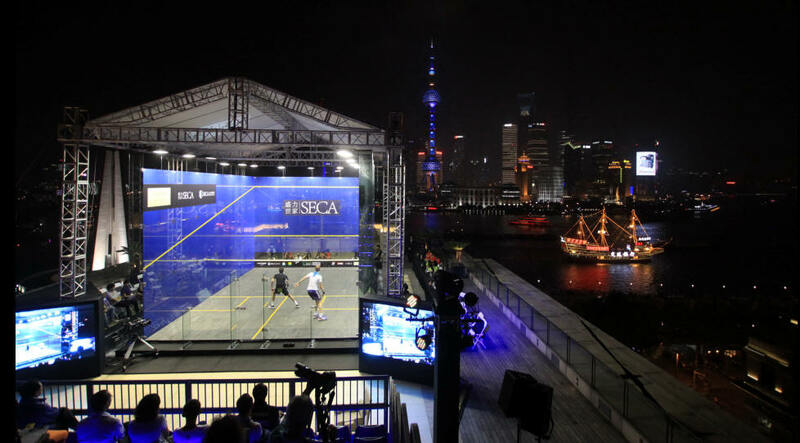 "This is a squash premiere also for us at SECA, but we are fully committed to providing the players with the best possible environment in and out of the court at The Peninsula Shanghai and we wish them to play at their top and enjoy being the Stars on The Bund!"